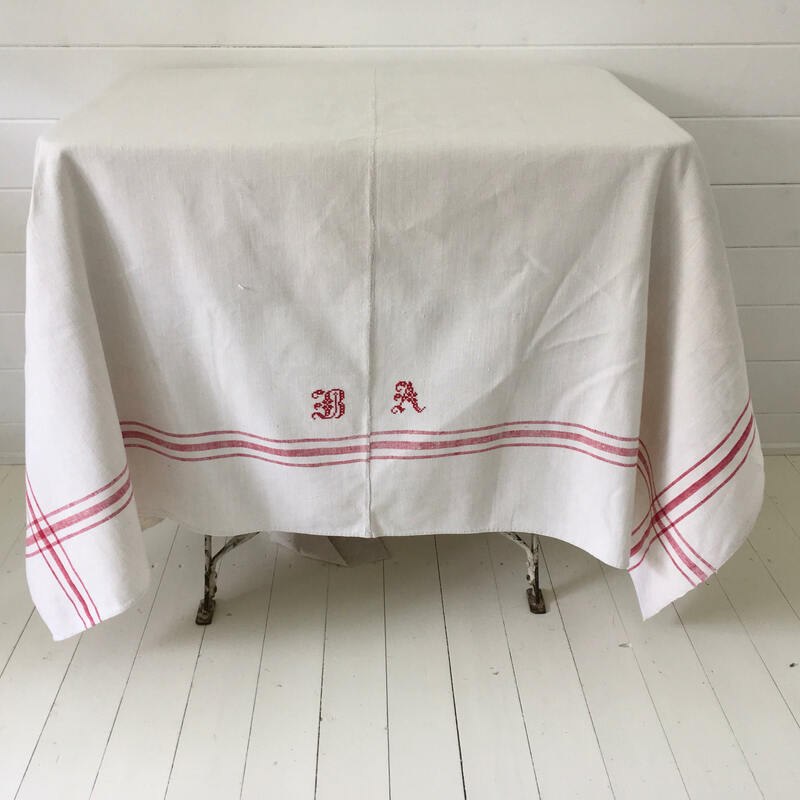 This vintage Hungarian linen tablecloth has been handspun and homespun pre 1940, it is very durable fabric, with hand stitched seams, the fabric is a fine weave but very hardwearing. 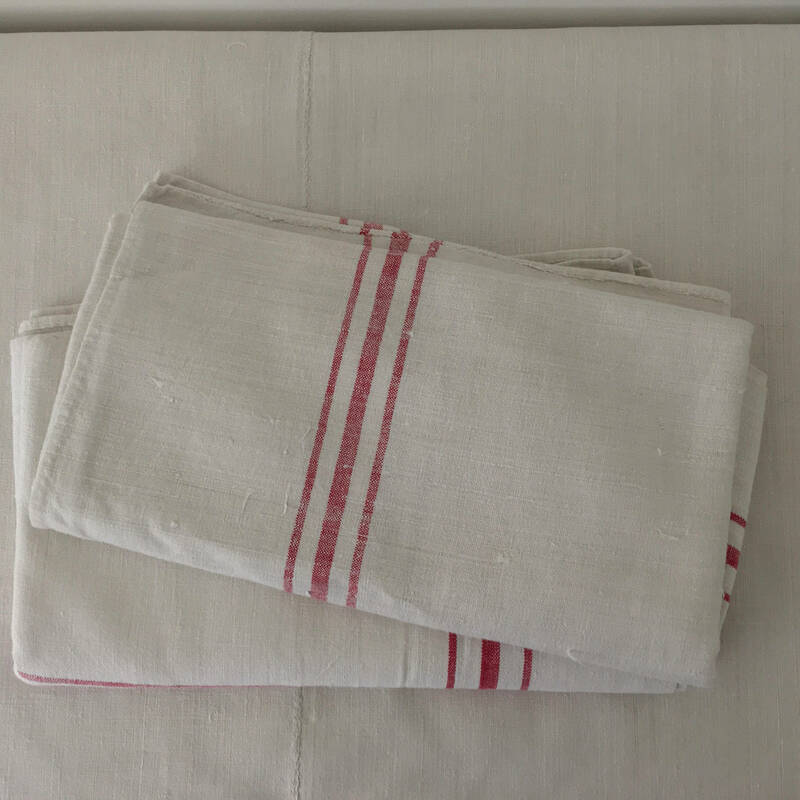 Mid-weight vintage Hungarian linen, this table linen has a 3 red stripes border. 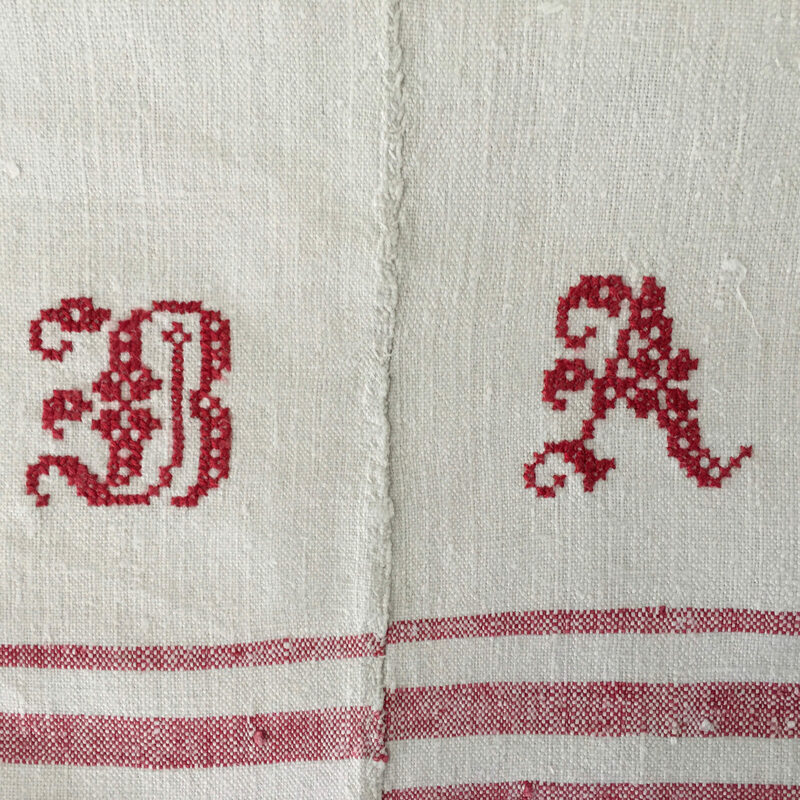 There is a 'AB' Monogram which is very decorative in between the hand-stitched centre seam. 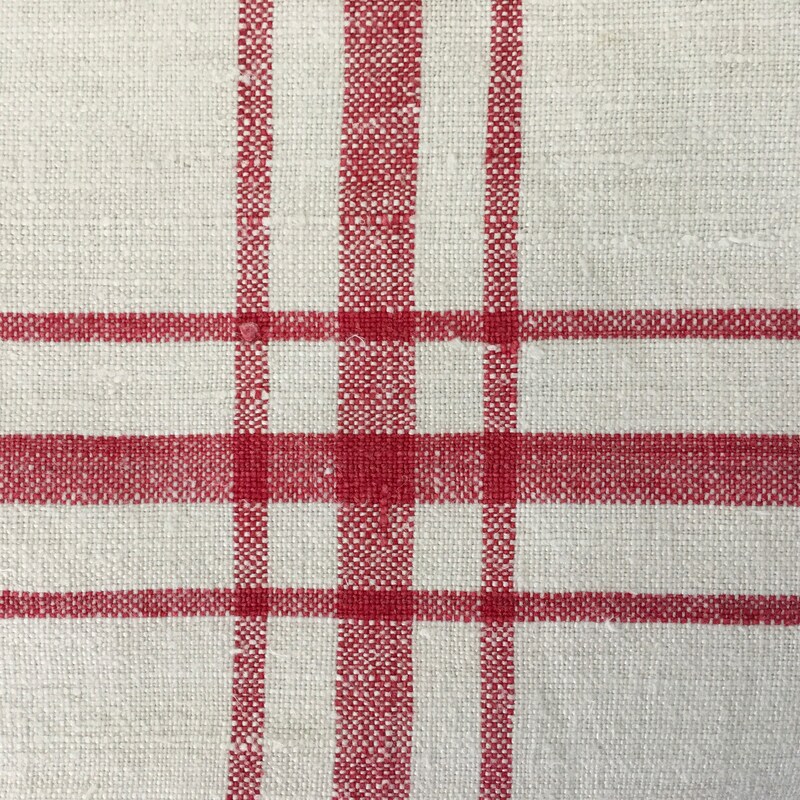 Use this tablecloth line to make blinds and curtains. See photos for design details. 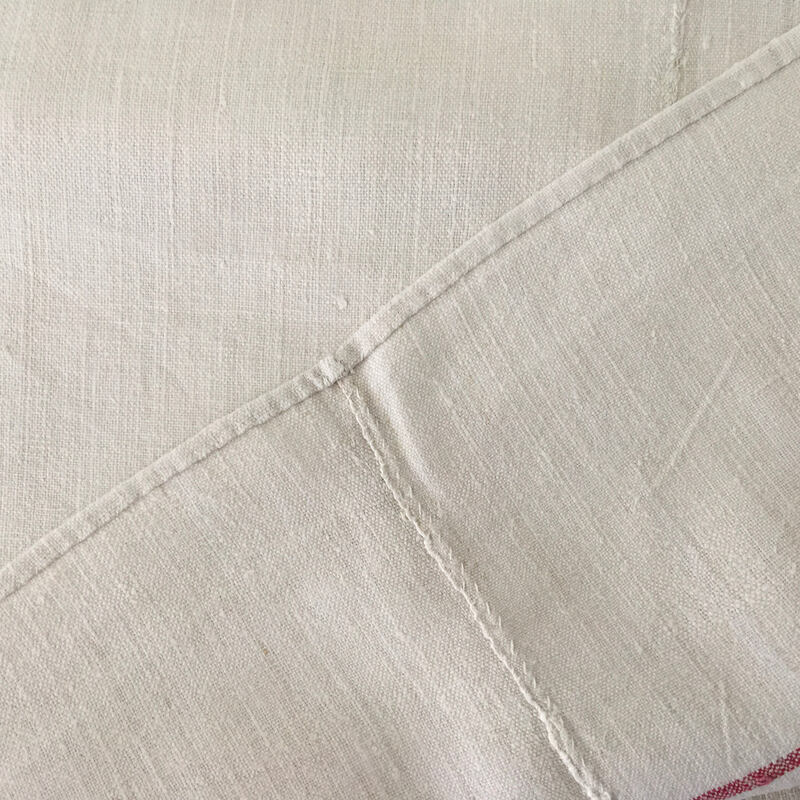 The red stripe is just as bright on the inside as on the outside of this linen grainsack, so you can use it either side.